What products may I use to clean the trays and AKRON Acquabella worktops after the installation ? To clean any traces of glue and cement mortar use a descaler called Fugasoap (KERAKOLL), DETERTEK from FILA brand, because it is specific for the removal of debris from construction works, also used for the removal of other components such as salt, rust an limescale, please read the instructions. DO NOT RUB, let the product act; NEVER USE PADS (SCOTCH BRITE, or NATURAL FIBER) nor SOLVENTS, ACID, ALKALI OR ABRASIVE. After cleaning, rinse thoroughly and ensure sufficient ventilation of the bathroom. It is not dangerous for the user an not dangerous for the environment. For more information, you can check our Youtube channel Acquabella Bath. What products may I use to clean my Acquabella AKRON shower tray and worktops Daily ? Soap and water applied with a non-abrasive sponge. NEVER USE PADS (SCOTCH BRITE, or NATURAL FIBER) nor SOLVENTS, ACID, ALKALI OR ABRASIVE. Which are the charasteristics of the drain ? The drain is a siphon type and it has a piece that can be taken off to clean it. You only need to take off the Acquabella stainless steel grid to accede and pull the handle. My bathroom has syphon pot, what can I do ? You may take off the white plastic cylinder and take off the tap, then assemble the cylinder again. What material may I use for gluing or sealing Acquabella AKRON shower tray ? 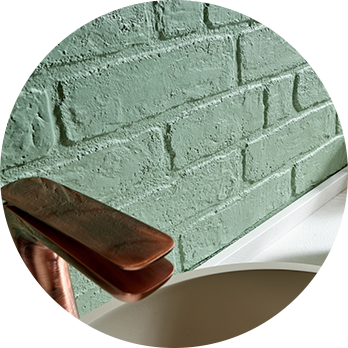 The gluing of the various elements must be done using SIKAFLEX (SIKA), SUPERFLEX (KERAKOLL) or ULTRABOND MS RAPID (Mapei) and sealing with ceramic grouting material or non acidic silicone. Which is the height of Acquabella AKRON shower trays ? Acquabella AKRON shower trays have between 25 and 40 mm thickness, depending of the model and size. What have thick that can accompany Acquabella AKRON of panels ? How big is me Acquabella AKRON skirting to raise the shower trays when needed ? Acquabella AKRON skirts have a height of 90 mm, which is related with the height of the drain (also 90). Who can I ask for AKRON shower trays spare parts ? To request spare parts you may ask our commercial department. Are the Acquabella AKRON shower trays antiskid ? 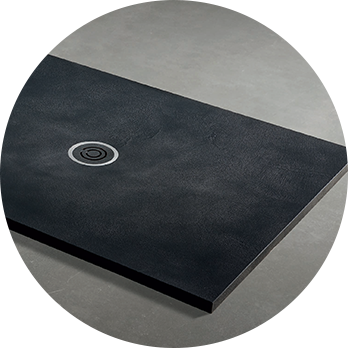 In adition of the texture of the shower tray, the same innovative composition of the AKRON shower trays provide a non-slip surface in accordance with the certification UNE-ENV 12633:2003 Anexo A and DIN 51097:1992. Could a shower tray be cut before installation? The best thing is that you provide us the exact meassurements where the shower tray is installed and we cut it to size. If this has not been the case, shower tray can be cut on side, protecting the product properly and using a diamond disc (it is recomended to cut with a FESTOOL with guides to make a straight cut). Ask the technical service first how much and where to cut it. For reasons of meassurements and formats not all can be cut the same. Is there a solution if the surface of my AKRON Acquabella shower tray is damaged ? Even we take the utmost care to protect the shower tray during the installation, it is possible that for various reasons the shower tray surface could be damaged. For these cases we have a REPAIR KIT with the same colour and easy application. What products may I use to clean the trays and CONFORT Acquabella worktops after the installation ? What products may I use to clean my Acquabella CONFORT shower tray and worktops Daily ? What material may I use for gluing or sealing Acquabella CONFORT shower tray ? Which is the height of Acquabella CONFORT shower trays ? Acquabella CONFORT shower trays have between 25 and 40 mm thickness, depending of the model and size. Who can I ask for CONFORT shower trays spare parts ? Are the Acquabella CONFORT shower trays antiskid ? What products may I use to clean the trays and AKRON Acquabella panels after the installation ? What products may I use to clean my Acquabella wall panels daily ? What material may I use for gluing or sealing Acquabella AKRON panels ? Is there a solution if the surface of my AKRON Acquabella panels is damaged ? What products may I use to clean the worktops AKRON Acquabella after the installation ? What products may I use to clean my Acquabella AKRON worktops daily ? Is there a solution if the surface of my AKRON Acquabella worktop is damaged ? How to drill the tap hole? When placing the order, indicate in a sketch where to locate the tap holes. 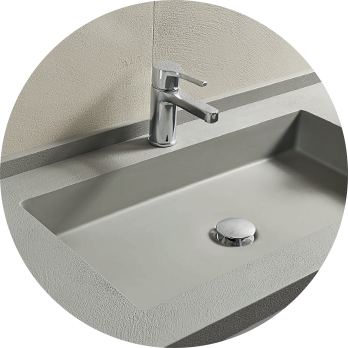 If it has been ordered without a hole, it can be done on side, protecting the worktop well so as not to damage it by using a drill and a 35 mm diameter metal crown.